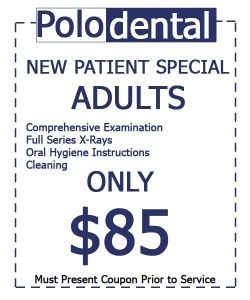 Polo Dental realizes that dentistry can be costly and that not everyone has dental insurance. As part of our commitment to provide you with comprehensive, quality dentistry, we offer reasonable fees and accept most Dental Insurance Plans. Not sure if we accept your dental insurance plans? Contact us today to learn more. We offer many payment options and accept all major credit, personal checks and debit cards. For your added convenience we also offer 3rd party financing options with immediate financing. As part of our commitment to make comprehensive, quality dentistry affordable for our patients, we are pleased to offer our Polo Dental VIP Program, which provides substantial fee discounts for services in all of our offices. Our program is ideal for patients without insurance, those who have exhausted their annual dental insurance benefits or those who seek discounts on cosmetic dental treatments. Everybody deserves affordable, quality dental care. 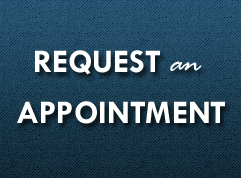 Our staff will sit down with you and discuss your payment options. Find out now just how simple it is to get financing. Apply online now for one of our affordable patient financing payment plans*. Just complete the on-line financing application, and you’ll receive an answer from our lending partners in just minutes. Dentist with a highly trained staff can be found at Polo Dental Dental clinic. Our entire team is dedicated to your satisfaction and we’ll provide your entire family with the best possible oral care. We continue to train ourselves on the most recent advancements in dentistry, and our commitment to education provides our customers with amazing treatment. Each of our dentists, hygienists, and treatment coordinators use personalized and gentle care to perform procedures and cleanings. We even have long office hours and generous payment plans for your convenience. Our dentists and hygienists work together to create a treatment plan that will give you the best possible results. 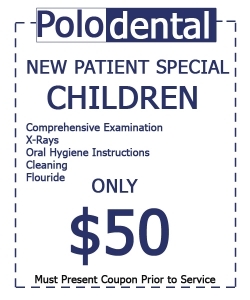 When you are ready to improve your oral hygiene, contact Polo Dental Dentist.. Our Dentist will provide you and your family with great dental care at an affordable price. Dr. Marianna Zadov Leizgold has always had passion and talent in art, science, and medicine - key ingredients in dentistry. As a teenager she volonteered at Mount Sinai hospital, Toronto, Canada, at the dental clinic. It was at that time that she decided that she wants to persue a career in the dental field. 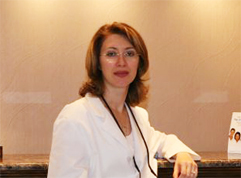 Dr. Zadov Leizgold completed her Bachelor of Science degree majoring in Psychology and Biology. She then earned her DDS (Doctor of Dental surgery degree) from the University of Toronto, which ranks as the third top dental school in North America.